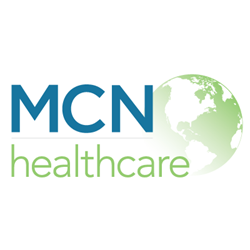 After several months of hard work and dedication, MCN Healthcare is pleased to announce the launch of our new website http://www.mcnhealthcare.com. MCN Healthcare has integrated all of our products so that we can meet your document compliance and education needs - all under one umbrella. Check out our MCN Healthcare Blog or Subscribe to Newsletter for up-to-date, easily accessible information for the latest on healthcare policy management, regulatory compliance updates, best practices, healthcare trends, tips, and more. “Our products have been developed specifically for the needs of healthcare organizations, by experienced healthcare and regulatory compliance professionals. MCN’s compliance suite is the most comprehensive compliance solution in the healthcare industry,” stated Amanda Valeur, President and Founder of MCN Healthcare/MCN Learning, and Director of MCN Foundation. We encourage to take a look around. Any questions? Use the Chat with MCN button at the bottom left side of the website. MCN Customer Experience team members are ready to answer your questions! MCN Healthcare. By Healthcare. For Healthcare. MCN Healthcare, Inc. is the leading provider of custom policy content, workflow management software and compliance expertise for healthcare providers. Our policy management software, fully customizable policy library, regulatory notification system, learning management system and contract manager have been developed specifically for the needs of healthcare professionals.